Beyond issuing a delay of the Model 3 production’s timeline, little has been disclosed about whether Tesla has successfully addressed the bottleneck in the all-electric sedan’s production line. Still, CEO Elon Musk took to Twitter on Tuesday to heave another item onto his mountain of promises: Tesla’s all-electric pickup will be made after the Model Y crossover, which nothing more is known than a loose production date of 2019 or 2020. Deliveries of the Model 3 to non-Tesla employees just started in the last two weeks—a mere six months after “production” began on the sedan. Tesla originally expected to make 5,000 Model 3s per week by the end of 2017; it’s now forecasting to hit that total by the end of March. The company has a daunting list of 450,000 Model 3 reservations to churn through, and even bullish analysts of the company expect it to fall well short of Musk’s production goal for 2018 of 500,000 vehicles. Tesla’s almost certainly going to highlight where Model 3 production stands in the upcoming release of its Q4 financials. But Musk hasn’t said much of anything since the production delay was announced in November. A high-profile event to mark the release of a new Tesla semi (which has hundreds of reservations already with an ambitious production set for 2019) as well as a new Roadster came and went without any additional insight of the all-important Model 3. It’s unclear where Tesla would build a pickup, let alone the Model Y crossover. The company’s main factory in California is already packed to the brim, and Tesla’s only discussion of building cars elsewhere has entailed a scant reference to a possible plant in China at some point within a few years. A Tesla spokesperson didn’t immediately respond to a request for comment on where the Model Y will be built and if production is still set to begin as early as 2019. But despite the lack of specifics, Musk wants you all to know: the pickup is coming, right after the other car is built, which will happen after it’s determined where it’ll be built, sometime, maybe, around 2019/2020, which is when the final Model 3 reservations are supposed to be fulfilled. 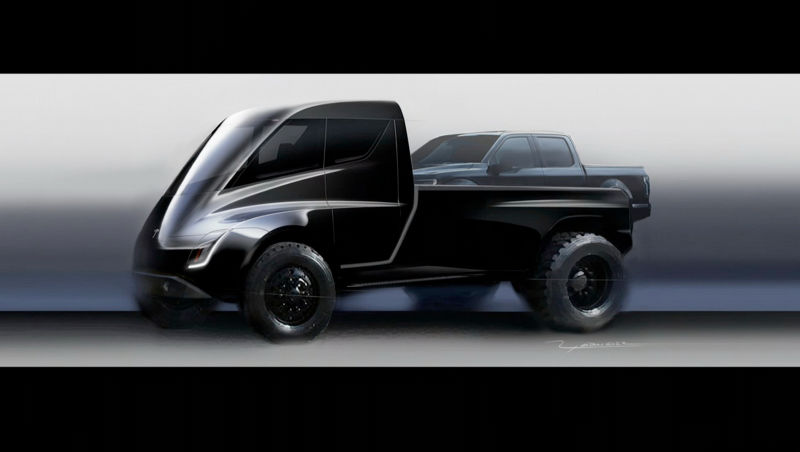 For what it’s worth, in the hypothetical world where the pickup is built, Musk says it’ll be a similar size to a F-150, which is more palatable than the silly concept that was shown last month.